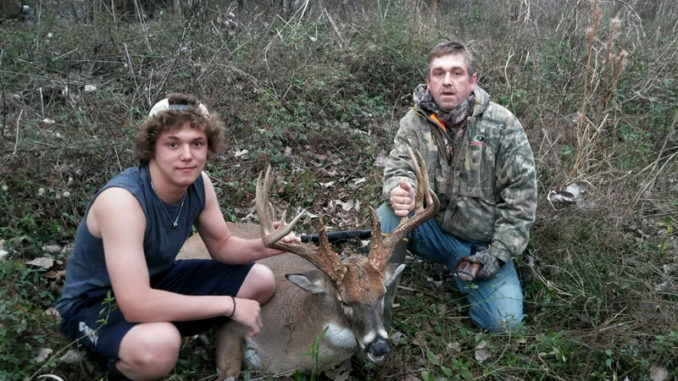 Scotty Smith, right, and his son Hunter take a picture after Scotty dropped this 190-class typical buck in Avoyelles Parish on Jan. 1. 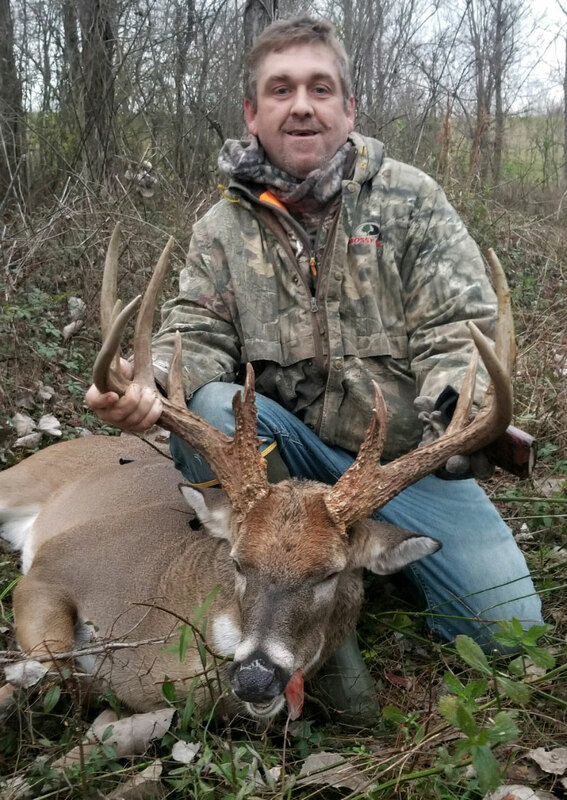 Scotty Smith rang in 2019 with friends at a New Year’s Eve party until around 2 a.m., but still made it to his deer stand in Avoyelles Parish around 4:25 on the afternoon of Jan. 1. You might say that’s when the real fireworks started for him this year. The 36-year-old hunter was in his tripod overlooking the edge of an oxbow on the old Red River when a giant buck he’d been watching for years finally gave him the opportunity for a shot. But he’s definitely no stranger to monster deer. Scotty Smith, 36, poses with the big Avoyelles Parish 190-class typical buck he shot on Jan. 1. His wife, Amanda, shot the 25-point ‘Rougarou Buck’ on the same property last January. He routinely lets 160-inch deer walk on the 6 acres he hunts, and shot a 180-class buck when he was just 17. And his wife, Amanda, knocked down the 25-point ‘Rougarou buck’ on the exact same property last January 13, which wound up at No. 5 in the state’s non-typical record books with a final score of 226 2/8 inches of bone. 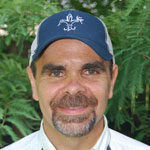 He said it’s obvious his buck and the Rougarou come from the same blood line. 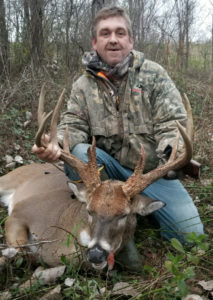 His New Year’s Day 14-point typical, which pushed 300 pounds, green-scored 190 ⅜ at Simmons’ Sporting Goods in Bastrop, with split brow tines, a 20 ½-inch inside spread and 8-inch-plus bases. Smith said the wily old buck had actually patterned him — until he turned the tables on it on New Year’s Day. Shortly before 5 p.m., Smith saw the buck in the distance crossing the oxbow. When Smith shot, the big buck went down on its front legs and managed to make it only 20 yards before piling up. Walking up on the monster was special after watching it all those years. Eventually the big buck will wind up on Smith’s living room wall with the Rougarou and a host of other big deer. After the mandatory 60-day drying period, Smith plans on taking the buck to the Louisiana Sportsman Show and Festival’s Big Buck Contest at the Lamar-Dixon Expo Center in Gonzales March 14-17 to get its official score. Until then, we’ll all have to wait and wonder if this is the year Don Broadway’s 1943 record buck that scored 184 6/8 finally gets beaten. Coincidentally, he and his wife saw this buck the same day she downed the Rougarou last January, he said. Is sac-a-lait spawn already on?